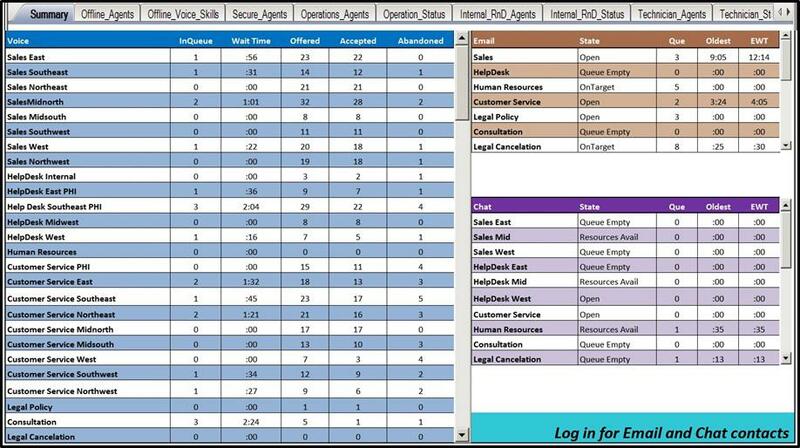 As a manager of the contact center you are familiar with the many reporting options available to you today. You have reports from your call accounting application to workforce management and everything in between. There are many benefits to these reports and over the years Spectrum has heard from customers what they view as a benefit to their business. However, there is a difference between a specific application report and a unified report. The reporting options begin with the audience. The person or people viewing the data will determine the type of reporting options you should use. 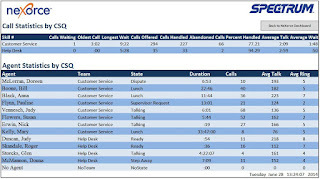 Combined multi-channel data that is summarized for the entire call center will probably be best seen on a dashboard for a manager or senior manager. Specific status information would be ideal on an agent desktop. Selecting the reporting option is a business decision and one that is usually made by determining which challenges and problems in the call center are being eliminated or reduced. 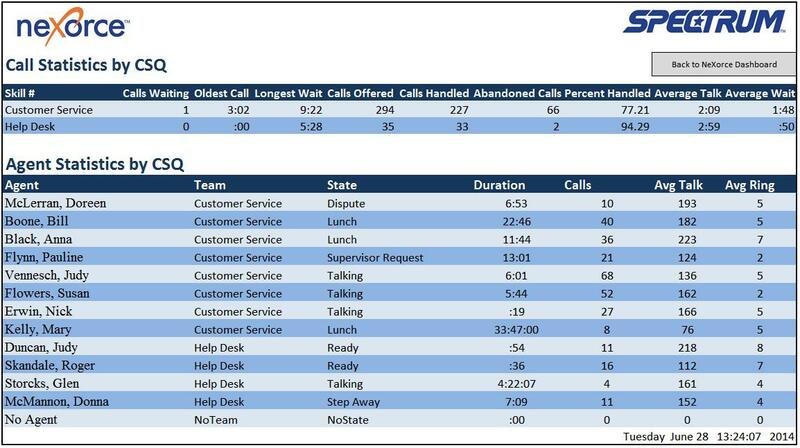 Summary view of the entire contact center including multi-channel data. As a manager you no longer have to open reports from multiple applications (Voice, Email, Chat, CRM, IVR, WFM) and view the current status for those applications. Drill down to see the performance by the group and how the agents have performed. See the contact volume, abandon rates, productivity and states for all of the agents in the group. Drill down further to see agent specific performance and states. The dashboard is your domain and you should take advantage of the benefits it can bring to you. Design the dashboard based on your needs and requirements and gain the advantage of this knowledge. Critical KPI’s on the desktop but do not take real estate. The desktop application can be resized and located where it will not interfere with important applications. The agent can acknowledge threshold alerts and messages and minimize the desktop report. Thresholds and messages make the desktop report pop-up on the desktop in a safe location so it will not hide critical data. 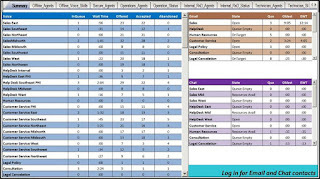 Data based on the agent log in provides the right data to the agent. Not having to sort through reports to find critical metrics and KPI’s improves the agent performance, adherence and efficiency. LCD Screens are for the manager, supervisors, agents, senior management and audience from outside of the call center. There are many benefits to having an LCD screen displaying contact center information as well as corporate content, business messages and general information for everyone to appreciate. Managers are always needed in the contact center helping others. But they also need to be aware of the current status and performance which LCD screens offer. Agents with low cubicles or no cubicles are able to stay aware of critical KPI’s and other agent status. Adherence problems can be reduced. An audience that is not from the call center such as a loyal customer love to see their name in lights. Call centers that display content that is not call center related improve the morale of the call center. Remote accesses to summary data via smartphone, tablet, remote PC or any other remote device as long as you have secure access. Historical data by the time frame you need. Email alerts and notifications are often undervalued. Emails can be sent to alert a manager when they are away of a multilayer threshold breech. 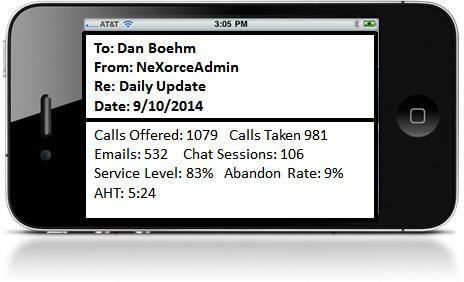 Email notifications can send the manager daily and weekly summary reports giving them call center performance information. Remote alerts and notifications keep the manager aware of the call center status. Internal security and support are aware of the software status so the call center always has its reporting. Traditional Wallboards are still being utilized by those who only need to see text. Call centers are not required to provide data in graphs and charts. The agents can also see the content in text and be made aware of the current status and performance in this manner. Total cost of ownership traditional wallboards. Life expectancy and reliability of the wallboards. The reporting style and type in the call center is up to the manager and budgets. There are benefits to the contact center and to the customers of the organization. 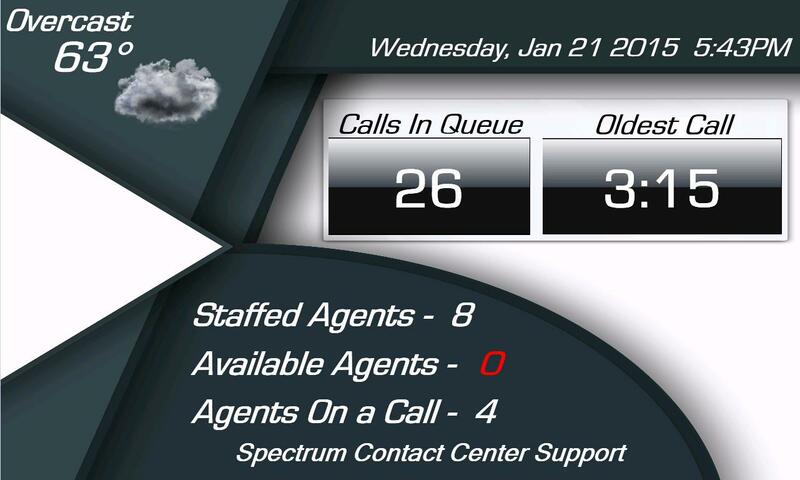 The suggestion that Spectrum offers is to look at the challenges and problems that exist in the call center today and determine what reporting option will help reduce or eliminate the challenges you are facing.